Felix has acted as Principal Investigator of numerous national and international projects funded by the Agency for International Development, the United Nations Food and Agricultural Organization, NATO and NOAA. He has lead global-scale international cooperation with government institutions, universities, and private organizations in transferring new technologies. He is a member of the UN World Meteorological Organization (WMO) Technical Team and of the editorial board of the Indian Journal of Remote Sensing. Dr. Kogan started his career in the 1980s when he was a Senior Scientist at the World Meteorological Center in Moscow, USSR. In 1985 Dr. Kogan joined NESDIS (National Environmental Satellite, Data, and Information Service), applying his expertise to a number of areas, including remote sensing, climate and weather impact assessments, drought monitoring, desertification and deforestation, mosquito-borne diseases, and agricultural productivity. Remote Sensing, Climate and Weather Impact Assessments, Drought Monitoring, Desertification And Deforestation, Mosquito-Borne Diseases and Agricultural Productivity. Peter Schmitz is a medical doctor, specialised in surgery, tropical medicine, infection prevention and control and public health. Since more then 35 years he gained experience in humanitarian assistance and development. He was Regional Medical Officer in the North of Namibia, Chief Medical Officer of Malteser International and head of health programmes and medical services within German Development Service (DED/GIZ). He is a very experienced Sphere trainer and Lecturer with a broad spectrum of topics in health, WASH, HIV/AIDS, infection prevention and control, project cycle management and evaluation, disaster management, disaster risk reduction, health systems strengthening and global health. Grace McClain holds a master’s degree in public health systems and policy from the Johns Hopkins Bloomberg School of Public Health. Prior to her role as a Program Analyst for NACCHO, she worked for the Pima County Health Department as an Environmental Health Specialist and for the University of Arizona in microbiology and wet lab safety. Her expertise includes environmental health regulation and compliance in food safety, housing, chemical safety, recreational water, and occupational health. She is also experienced in grant writing, policy research and analysis, program management, and public speaking. Environmental Health Regulation and Compliance in Food Safety, Housing, Chemical Safety, Recreational Water, and Occupational Health. She is a public health expert with 26 years of international experience. She has been involved in the Health System Strengthening particularly in South East Asia and the Middle-East. She has developed curative, promotional, and preventive health service on district and provincial level and provided capacity building and requirements for the universal health coverage (UHC). She was involved in health and climate change programs and designed and carried out a public health review related to this Dr. Benner worked as Senior Health Adviser for Malteser International in the headquarter and SEA. Furthermore, she worked for WHO in Nigeria and for DG ECHO as a Regional Health and Nutrition Coordinator in South East Asia and the Pacific. She is also engaged in refugee and migration health, disease control, and health and climate and published a few peer reviewed articles. Dr. Benner is also a registered nurse. She obtained her DrPH and Diploma on Research in Public Health and Policy from University of London, London School of Hygiene and Tropical Medicine. She also holds Masters in Primary Health Care Management (MPHM) from Mahidol University. Luke Thomas Roberts is doing MSci in Environmental Geoscience from University of Bristol, UK. His research experience includes various programs, contributions and participation in different countries for diverse fields of study, such as Oceanography, Meteorology and Volcanology. Currently Director of Research for the School of Construction Management and Engineering; Chairman of: Natural Ventilation Group and Intelligent Buildings Group for the Chartered Institution of Building Services Engineers. Vice-President of CIBSE from May 2007 and Board Member for British Council of Offices.He Has received many research grants awarded by EPSRC, DTI, Royal Academy of Engineering, Industry and EU. Published over 200 papers on various aspects of his research and education projects. Research interests include intelligent buildings; design of workplaces; logistic support analysis; individual environmental control; indoor quality and alternative approaches to heating, ventilating and airconditioning of buildings; environmental design for human needs; environmental issues for the construction industry. Born 1956, initially trained as a technician, he studied philosophy and history (doctorate 1992, habilitation 1997), was scientific assistant for philosophy in Basel und Luzern, SNF-research fellow, lecturer at the universities of St. Gallen, Fribourg, Innsbruck, Maribor, and from 1998-2005 head of the interfaculty teaching program People Society Environment at the University of Basel; since 2006 he has been in charge of the Sustainability Research Group and responsible for the social sciences within the tri-faculty Master in Sustainable Development at the University of Basel; among others he is currently head of trinational Upper Rhine Cluster for Sustainability Research (give link), head of the SCCER-CREST work package 2 on change of behavior and member of the SCCER-CREST board. Among his research interests are theoretical foundations for sustainable development including its normative basis as well as approaches to human-nature-interrelations, empirical research on governance of sustainable development in general and of change of individual behavior in particular, interdisciplinary approaches to understanding individual behavior in the energy sector; the role of quality of life issues within sustainability transformation in the North and the South, and epistemology and methodology of inter- und transdisciplinary research. Jaroslaw Krzywanski is an Associate Professor at the Faculty of Mathematics and Natural Science at Jan Dlugosz University in Czestochowa, Poland. He received the M.Sc. degree from Czestochowa University of Technology, Department of Mechanical Engineering and Computer Sciences, Institute of Thermal Machinery, Poland and Ph.D. degree from Silesian University of Technology, Faculty of Energy and Environmental Engineering, Poland. Last two years he obtained a D.Sc. degree (Doctor Habilitatus). He has published more than 100 refereed works, including papers, a monograph, conference proceedings and serves as an editorial board member of several international journals. He has participated in the scientific committee of several conferences and serves as a reviewer in a wide range of international journals. He is interested in modeling of energy devices and processes, including solid fuels combustion, gas emissions and hydrogen production from biomass combustion and gasification. He uses both programmed and AI methods to predict pollutants emissions from biomass co-combustion in large-scale circulating fluidized bed (CFB) boilers, chemical looping combustion (CLC) of biomass in a pilot-scale fluidized bed (FB) systems as well as the hydrogen concentration in syngas during the H2 production via CaO sorption enhanced anaerobic gasification of sawdust in FB units. As an applied environmental anthropologist, the majority of my research projects focus on the dynamics of human populations and environmental change, specifically climate change in most cases. A project I recently completedin several coastal communities in Belize, addresses the ways in which households respond to climate-related shocks. The research involveddetermining levels of vulnerability and devising a Resilience Index to examine specific responses and coping strategies to climate-related disturbances. In 2014, I conducted research in the western interior region of Belize to determine awareness and level of understanding of climate change on the part of those working in the tourism industry. I continue to interview farmers in West Texas to document their farming systems and to examine their understanding of climate change along with their perceptions of risk relative to impacts on their wheat and corn production. I began this research in 2014 and will continue through 2019. My current research centers on human responses to climate and other environmental changes. Paulo J. C. Favas is a Professor at the University of Trás-os-Montes e Alto Douro (UTAD), Vila Real, Portugal. He holds the B.Sc. degree in Biology and Geology (UTAD), the M.Sc. degree in Geosciences (University of Coimbra, Portugal), and the Ph.D. degree in Geology (UTAD). His research interests range from Biogeochemistry to Environmental Geochemistry. He specializes in pollutant behavior in soil-plant and water-plant interfaces, and works in the areas of hazardous metal(loid)s, phytoremediation of contaminated sites, and abandoned mine site reclamation. He serves as editor for Annals of Agricultural Science journal and as reviewer for several other scientific journals. 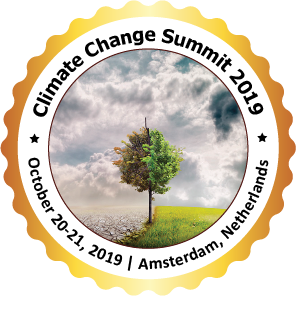 Within the environmental science subjects, he is the author or co-author of about 50 peer-reviewed papers in scientific journals, book chapters, and proceedings (Web of Science and Scopus indexed), and more than 140 papers in conference proceedings. He has received four awards for scientific and academic merit. His research interests range from Biogeochemistry to Environmental Geochemistry. Panin Alexander - senior lecturer of the Department of Microbiology of the Military Medical Academy. Specialist in medical support for the preparation of expeditions to the polar zones. Participant 50 and 56 Russian Antarctic expeditions. I monitor the sanitary status of the objects of Russia in Antarctica. In a team of like-minded people, psychophiles – bacteria and micromycetes, living at low temperatures under extreme polar conditions, types of microorganisms of medical significance, are exploring. He has published more than 20 scientific articles in well-known journals, where observations on aspects of global warming are objectified. Microbiological monitoring is most informative in extreme zones of polar deserts as predictors of global warming and epidemiological risks of the emergence of infectious diseases of humans and animals. Studying symbiosis in cyanobacterial mats and in the polar microbiota. This allows us to objectify the risks of global climate disasters. Karel Charvat graduated in theoretical cybernetics. He is a ember of ISPA, RDA, Club of Ossiach, CAGI, and CSITA. He was in period 2005 - 2007 President of European Federation for Information Technology in Agriculture Food and Environment (EFITA). He is currently representatiove of HSRS in OGC Agriculture DWG. He has long time expereince in ICT for Agriculture and Precision Farming. Now he is one from promotors of Open and Big Data in Agriculture in Europe. He has expertise in project management of research project. Participation in projects as project manager and senior researcher: Wirelessinfo, Premathmod, EMIRES, REGEO, Rural Wins, Armonia, a Bard, EPRI Start, [email protected], AMI4For, Voice, Naturnet Redime, Mobildat, SpravaDat, Navlog, [email protected], Humboldt, WINSOC, Study for DG AGRI Broadband in Rural Development, Plan4all, Habitats, Plan4business, SmartOpenData, FOODIE, SDI4Apps, AgriXchange, FOODIE, SDI4Apps, OTN, EUXDAT, Polivisu. Currently he is part of project management team of project Data Driven Bioeconomy – DataBio. Yue Tian-Xiang is a Professor State Key Laboratory of Resources and Environment Information System, Head of Department for Ecological and Environmental Informatics, Institute of Geographical Sciences and Natural Resources Research, Chinese Academy of Sciences and Chair of Geo-informatics, University of Chinese Academy of Sciences. He has been working as a leading professor at State Key Laboratory of Resources and Environment Information System, Institute of Geographical Sciences and Natural Resources Research, Chinese Academy of Sciences. Since 1986, he has innovatively been developing the high accuracy and speed method (HASM) for surface modelling to give solutions to error problem, slow-computational-speed problem and multi-resolution problem which long troubled surface modelling. He has been successfully applied to simulating surfaces of elevation, soil properties, and changes of biodiversity and ecosystem services, climate change and driving forces of the changes as well as analysing ecosystem responses to climatic change. In all these applications, HASM produced more accurate results than the classical methods. In 2016,a Fundamental Theorem of Earth Surface Modelling (FTESM) is created on the basis of development of HASM and its applications in last30 years. Prof. Lingai Luo is the first class research director of French National Center for Scientific Research (CNRS) at the Laboratoire de Thermocinétique de Nantes (LTN), France. She received her Bachelor’s and Master’s degrees in thermal engineering from Harbin Institute of Technology, China, and her Ph.D. degree in mechanic and thermal engineering from National Polytechnic Institute of Lorraine (INPL), Nancy, France. Her previous academic appointments include Assistant Professor at INPL, Associate Professor at University of Nancy I, and later at INPL. From 2003 until 2012 she was a Full Professor at University of Savoie, France. Her research covers a wide range of topics in thermal, process and energy engineering, including combustion in fluidized bed, energy balance analysis of industries, solar refrigeration machines, adsorption and absorption processes, thermoelectric heat pumps or energy for buildings. Since 1989 He has been involved in teaching and organising a range of courses, many of an innovative nature and the first of their kind in the UK. The intellectual range of these courses has been very wide and they were also highly interdisciplinary. For some of these courses his role has been that of an administrator and supervisor of teaching methods and academic standards although still requiring a good knowledge of the taught material. He has therefore been the Course Director of a number of courses: BSc Occupational Health Nursing, Diploma in Hearing Therapy, Diploma and MSc Occupational Safety and Health and Certificate, Diploma and MSc Water and Environmental Management. He has been the Admissions Officer and Examinations Officer for all of these courses for which He has been Course Director. Azime Tezer works at Istanbul Technical University (ITU), Urban and Regional Planning Department. Her researches focus on ecological urban planning policies, tools and techniques for urban natural hazard mitigation, integration of ecosystem services into spatial planning, eco-sensitive watershed management modeling, climate change and urban planning interaction. After 1999 Marmara Earthquakes she joined to ITU-US Federal Emergency Management Agency (FEMA) “ACHIEVE - Train the Trainer Education Program” in between 2000-2001. During 2001-2006 she participated FEMA Training Courses in US and JICA Urban Hazard Mitigation Courses in Kobe and Tokyo. After these training programs, she took part in disaster reduction planning; public awareness raising and technical-administrative-community representatives’ capacity development projects at national and provincial levels in Turkey. Finally, she represented TUPOB (Association of Turkish Planning Schools) and ITU at the “COP23 Planners for Climate Action” in Bonn. Her researches focus on ecological urban planning policies, tools and techniques for urban natural hazard mitigation, integration of ecosystem services into spatial planning, eco-sensitive watershed management modeling, climate change and urban planning interaction. Currently, Dr. Chan is an Honorary Assistant Professor & a Lecturer at the School of Biological Sciences, the University of Hong Kong (HKU). She is also the Programme Coordinator of Master of Science in Environmental Management. She leads teaching courses on environmental quality management, biostatistics, research methodology and report writing, and experiential learning in environmental management. She has obtained the Professional Membership of the Hong Kong Institute of Qualified Environmental Professionals Limited and Certified Membership of the Environmental Management Association of Hong Kong. Before joining to HKU, Dr. Chan was working at the headquarters of YMCA which is based in Geneva, Switzerland. She was the focal point on environmental issues for the organization and coordinating events with the United Nations. Chan’s current fields of interest include waste management (especially electronic waste), environmental health & toxicology, and environmental education. Her PhD study was on environmental health and toxicology with a particular focus on environmental pollution in mainland China. She also holds a master’s degree with distinction in Environmental and Public Health Management from theHong Kong Baptist University and a bachelor’s degree in Environmental Life Sciences from HKU. She carries out studies on sustainable chemistry, applying the knowledge acquired during more than 30 years of career to environmental issues in the search for more sustainable materials and chemical processes. Miguel Nuno Miranda received the degree in Energetic Engineering(University Autonomous of Lisbon)in 1998 and thePh.D. degree in Environmental Science(University of Aveiro)in 2009, Portugal. Dr. Miguel Miranda has authored more than 60 scientific works (including chapters, papers in international journals andbook of proceedings, and poster presentations) and serves as Editorial Board Member of several scientific journals as well as Organizing Committee Member in International Conferences. His main research interests include waste management or valorization through thermochemical conversion processes (pyrolysis, gasification and hydrothermal liquefaction), production of fuels and biofuels andsolar energy concentration (SEC) solutions towards the production of solar fuels. She is researcher at the South African National Biodiversity Institute (SANBI). Her research focuses mainly on local and regional effects of global climate change, atmospheric CO2, temperature and drought stress on the ecology, physiology, mineral nutrition, reproduction of South African Mediterranean-climate plants. She also mentor students at the University of South Africa (UNISA) in plant and animal science and conservation interpretation. She is registered at the South African Council for Natural Scientific Professionals (SACNASP) and a certified Environmental Impact Assessment Practitioner. Joanes Atela is currently a Senior Research Fellow and the Head of the Climate Resilient Economies Programme at the African Centre for Technology Studies (ACTS). Joanes’ main interest lies in research, and policy analysis on the socio-technical interactions between sustainable development technologies and African context – including policies, culture, livelihoods with special focus on the energy, agriculture and forestry sectors. Through quality research and policy analysis, Joanes has ably led the climate change programme at ACTS to become one of the best in the world- ranking third globally according to the 2016 ICCG think tank rankings. Joanes also coordinates the Africa Sustainability Hub- a North-South and South-South partnership bringing together leading think tanks in Africa and the UK to undertake coordinated evidence based research on pro-poor energy access and enhance research capabilities and talents among young African researchers and policy makers towards transforming Africa’s sustainability prospects. Joanes is also an Associate at the Institute for Climate Change and Adaptation, University of Nairobi where he teaches and supervises MSc and PhD students on topics related to multilevel environmental policy design and implementation Joanes currently serves as a council member for the Elsevier Sustainable Development resource centre. He holds a PhD in Environment and Development from the University of Leeds, UK and MSc in Resource Management in the Tropics from the University of Bonn, Germany (First Class). Joanes’ main interest lies in research, and policy analysis on the socio-technical interactions between sustainable development technologies and African context – including policies, culture, livelihoods with special focus on the energy, agriculture and forestry sectors.